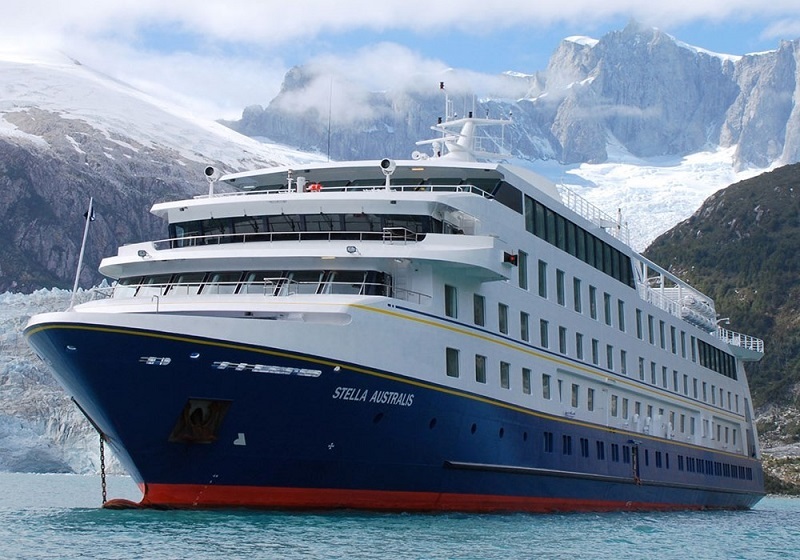 WE OFFER: this exciting and fresh way to get from Puerto Natales to Torres del Paine as a full-day excursion that serves as a unique transfer service at the same time. The trip can be divided into two parts. One part is on board a catamaran, which, at times, can feel as though it is overcrowded, only because it caters for a large number of passengers, and the other is the much smaller and personal fast-speed zodiac boats that race up river. We can arrange for a rent a car to be dropped at the end of the trip in TDP too. We can build this into any Torres del Paine Itinerary we make for you as a way in or out of Torres del Paine as art of the rest of your itinerary we are arranging, but we do not offer this trip as a standalone. 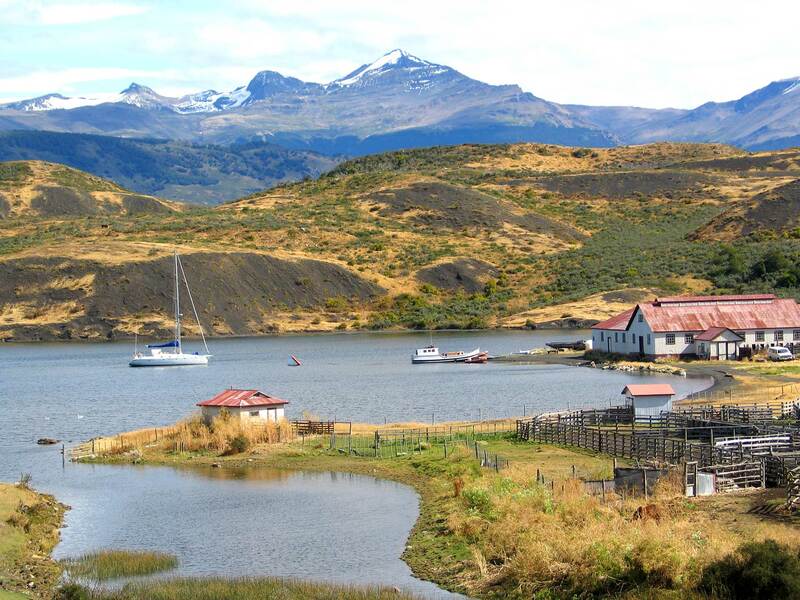 Pick-up from your hotel in Puerto Natales at 07:30hrs and transfer to the small port called Bories, only five minutes (5km) north from Natales centre. Here you will pass your main luggage to a crew member and the next time you will see it will be when you arrive to sector Serrano in Torres del Paine. After embarkation the catamaran will navigate along the fiord called Sound of Last Hope (“Seno de Ultima Esperanza”) passes by amazing geographical evidence of previous ice-ages and unbelievably-looking layers of rock sediment that have been contorted from the horizontal, bent into a u-shapes and / or turned vertical from the sheer forces of nature. Along the way there ma be some cormorants to see and other birds. This part of the trip, which lasts about 1.5hrs, gets interesting as it approaches the end of the fiord where the hanging glaciers of Balmaceda and Serrano can be seen. The Balmaceda glacier having retreated considerably over the past decade to reveal an orange-coloured, smooth rock surface that contrasts artistically with the blue hue of the glacier and vivid green of the foliage either side. Closer to the Serrano glacier the catamaran will dock and passengers will disembark to be able to walk through the wood to a small lagoon whereupon the Serrano glacier comes down from the mountain and breaks off into icebergs that float in the lagoon. It is an impressive and pretty spectacle. 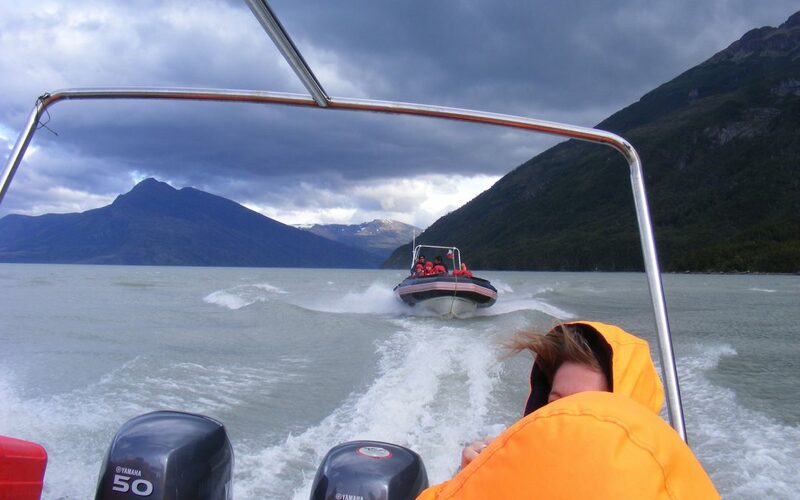 Those passengers who are not returning to Puerto Natales will get into zodiac dinghies and be handed wet-weather gear and life jackets then taken across the river delta to a Patagonian lodge for a Patagonian lunch. This is a very tranquil place facing the amazing white-blue Serrano glacier, with the slow-moving Serrano river passing by, birds chirping and in the natural flora. 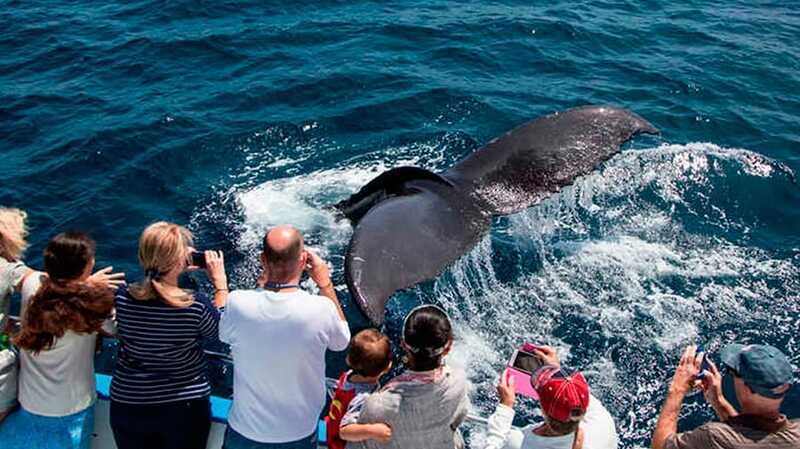 After lunch passengers will get back into the zodiacs and start the fast-speed trip into the National Park Bernard O´Higgins, up river passing by the forested banks of the Serrano river, and fauna that happens to be eating or watching and valley sides. Towards the final 30mins of fast-speeding up river, if weather permits, you will see the cuernos of Torres del Paine in the distance, and its hanging glaciers. Arrival is usually around 16:30hrs at Serrano Sector. 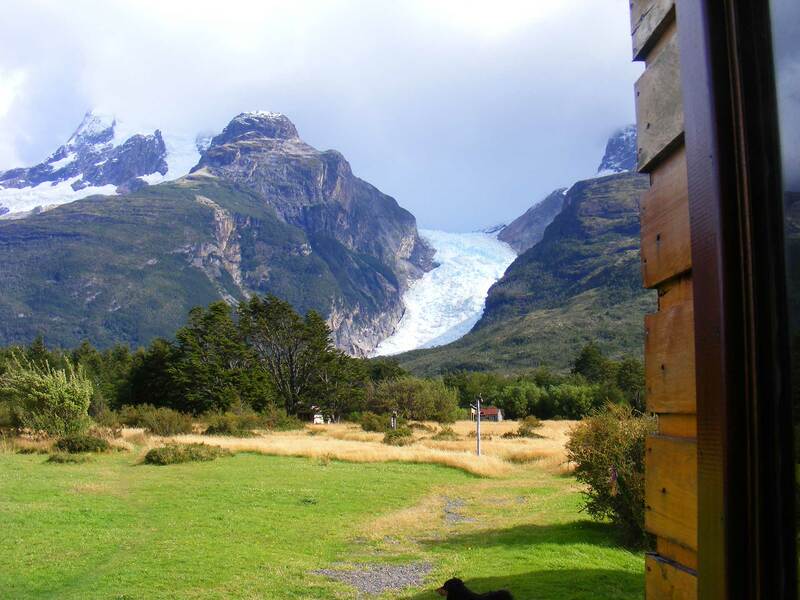 From here we need to book your onward transfer to accommodation in Torres del Paine or back to Puerto Natales. Officially Serrano Sector is NOT in Torres del Paine, but literally on the border. 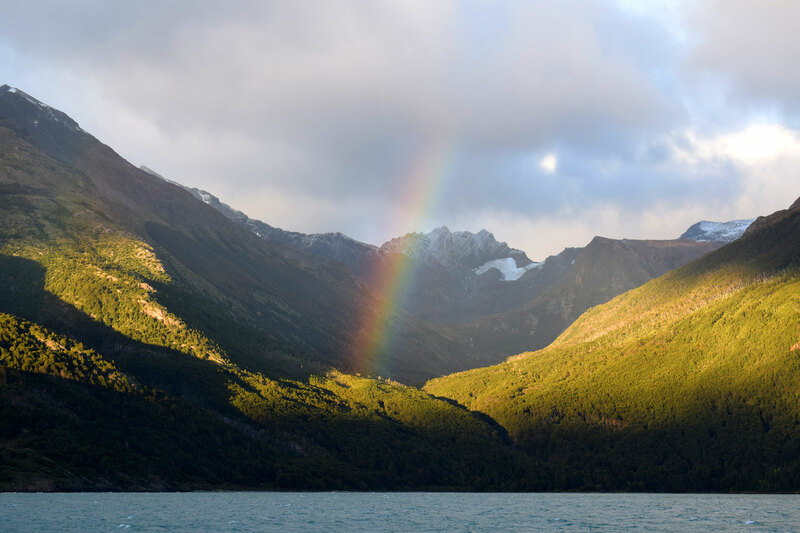 Therefore, if going into Torres del Paine you will need to pay the Park Entrance fee.